The findings of archaeology students and professors of Southern Adventist University, a Seventh-day Adventist school in Collegedale, Tennessee, United States, are currently on display at the brand-new Museum of the Bible in Washington, D.C. 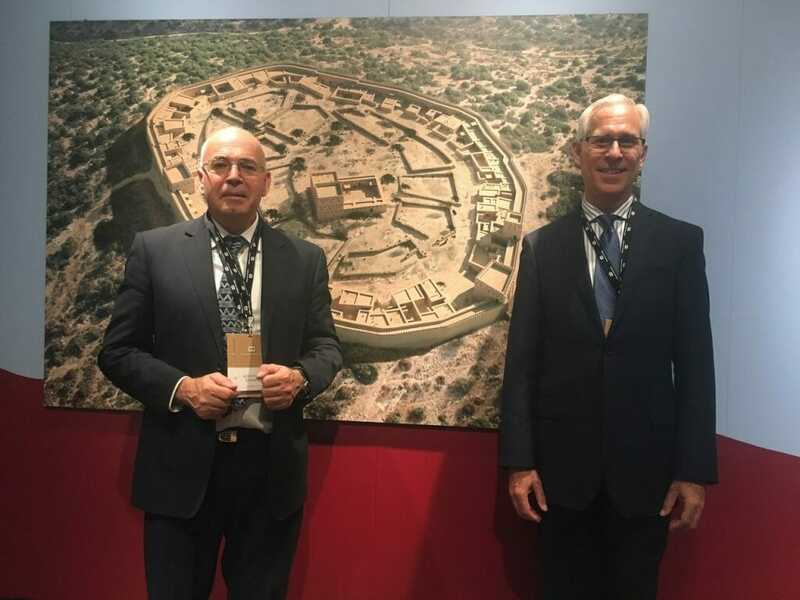 The special temporary exhibit, titled “In the Valley of David and Goliath,” focuses on the groundbreaking contributions of the Khirbet Qeiyafa Archaeological Project. Co-sponsored by the Institute of Archaeology at Southern Adventist University and the Institute of Archaeology at The Hebrew University of Jerusalem, the project took place from 2007-2013 at the ancient fortified garrison city on the border between Judah and Philistia, southwest of Jerusalem. Khirbet Qeiyafa overlooks the Elah Valley, the setting of the biblical account of David and Goliath. In 2008, the oldest Hebrew inscription was found at Khirbet Qeiyafa; in 2013, another inscription was found at the site, dating to the 10th century B.C. and mentioning the name “Ishbaal,” the same name as one of Saul’s sons. Both discoveries made international headlines and are featured in the Museum of the Bible, among other pieces that the team uncovered during the course of the project. The Museum of the Bible is located in the heart of Washington, D.C., near Capitol Hill, the Smithsonian Institution, and the National Mall.